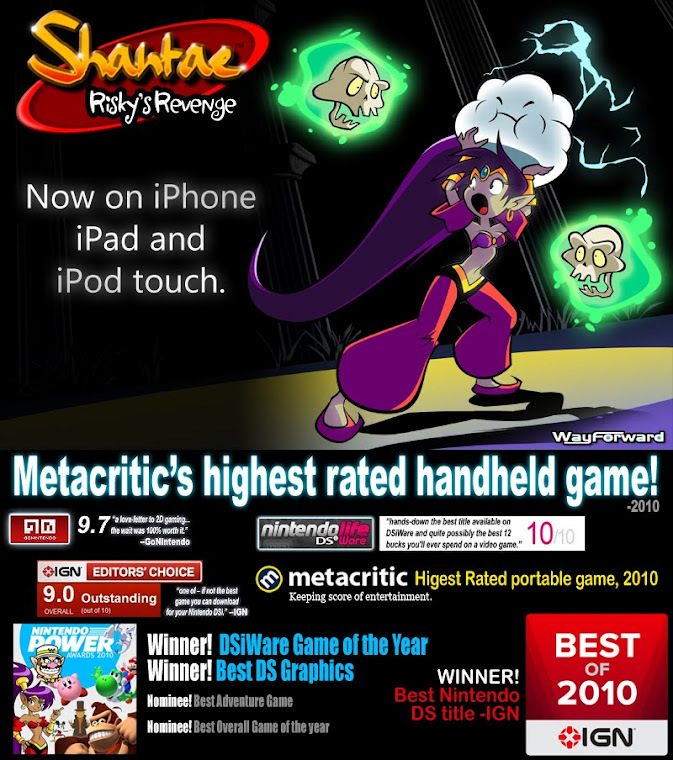 The Shantae: Risky's Revenge Original Soundtrack is now available at Big Lion Music! And it's FREE! Our friends at IGN were kind enough to host our humorous promotional video which shows (with great exuberance) how fans can grab Jake Kaufman's incredible compositions via a "pay what you like" system. Hey, this is one of the few posts you can actually do something about. So click that link and get over there. If you don't have the cash, just choose the free option... its your call. And, you can see the video at WayForwardTube. Just don't drink milk while you watch. Good news for Shantae fans! A new report suggests that DSiWare games will be transferable to 3DS, turning what for some would be a six month fling into a long term relationship. Don't fear commitment gentlemen, its going to be okay. 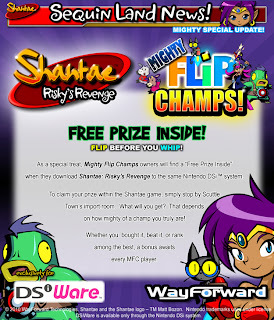 You can check out Joystiq's original story right here. 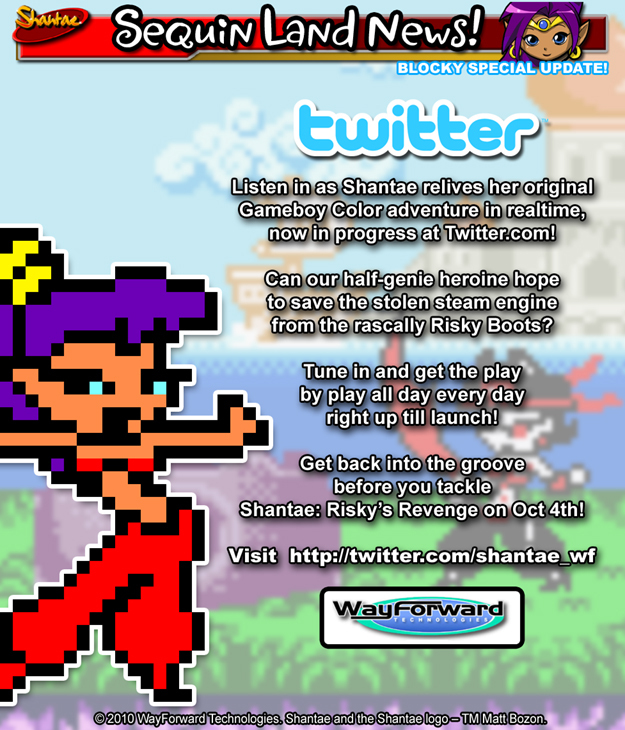 Shantae Fan Club members received this special mailer announcing the arrival of her brand new adventure, which launches on October 4th, 2010. 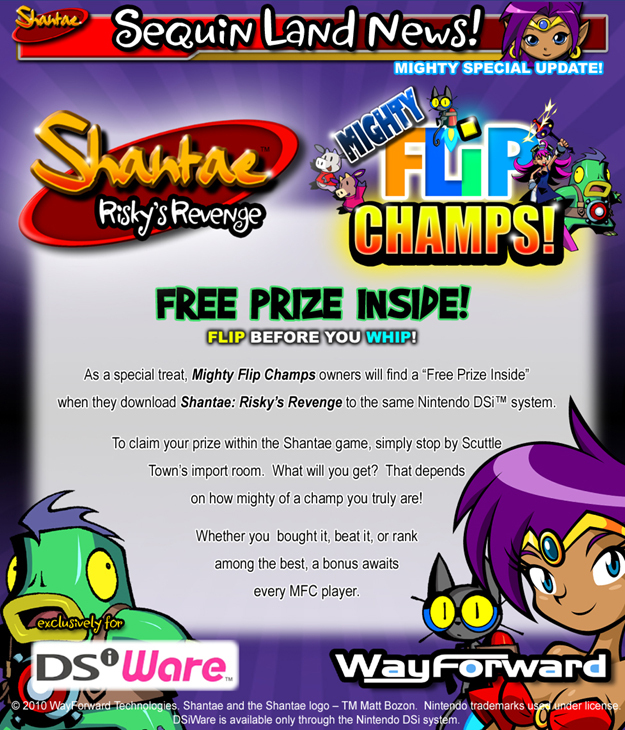 As you probably guessed by now, the game will be available exclusively through the DSiWare service. Get those point cards handy! 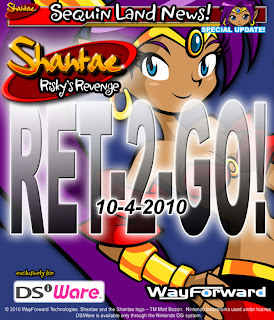 Shantae fans are really getting their grove on lately. Here's a song writtten by a long time fan who goes by the nickname of "Peach". 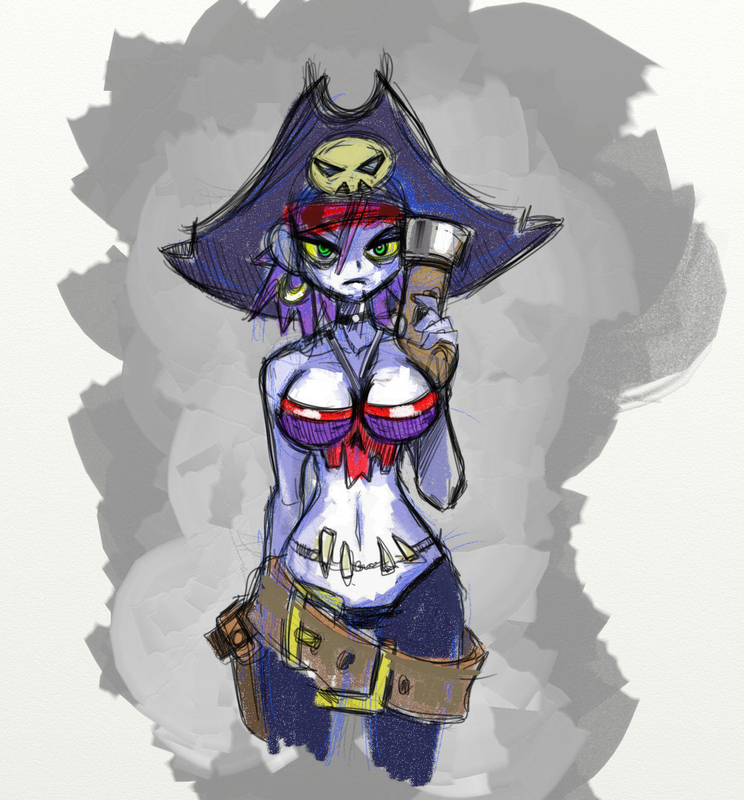 We love seeing fan art, music, or whatever else you creative folk are cookign up, so don't hesitate to share your works via shantae@wayforward.com . You can listen to Peach's tune here.